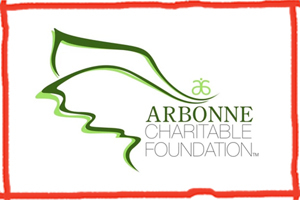 The Arbonne Charitable Foundation have a mission, and that is to provide support for programs and opportunities that promote the development of confidence and self‑esteem in teenage girls and boys. They have helped more than 340,000 teens develop increased confidence through programs supported by the Foundation. The incredible amount donated from the Arbonne Charitable Foundation was £3,000! This means we are going to be running a wonderful 6 weeks empowerment course! This will be a weekly workshop taking place in our centre, focusing our efforts on our teenagers aged 12 – 17 years old. The above topics are not definitive, and we will confirm closer the time, but we will be working with some really great people like local artists and bakers to offer the teens a really fulfilling and interesting time. Each session covers 3 carers, the materials and the leader in that area we are covering that week. We want to continue with workshops such as this, and will be offering different classes and workshops to as many children and teens as we can, ranging from 8 to 18 years old (paring age and ability in the groups) and we are working very hard to secure further funding for this. Watch this space!